Target, Discount Tire, Jersey Mikes Subs, Starbucks, McDonalds, Noodles and Company, Culvers, Nadia Cakes, Chuck E. Cheese and European Wax Center. 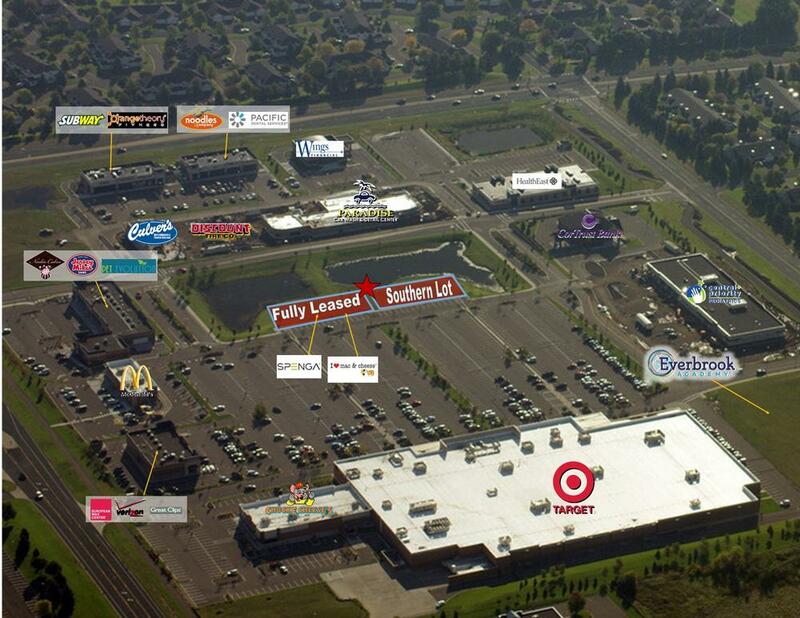 It’s strategic location provides excellent access to the center along Commerce Drive and is only seconds from the heavily traveled Woodbury Drive (which is a main thoroughfare to I-94). Woodbury is a strong trade area with extremely high annual incomes and a significant population count. The trade area has attracted numerous national retail chains over the years.